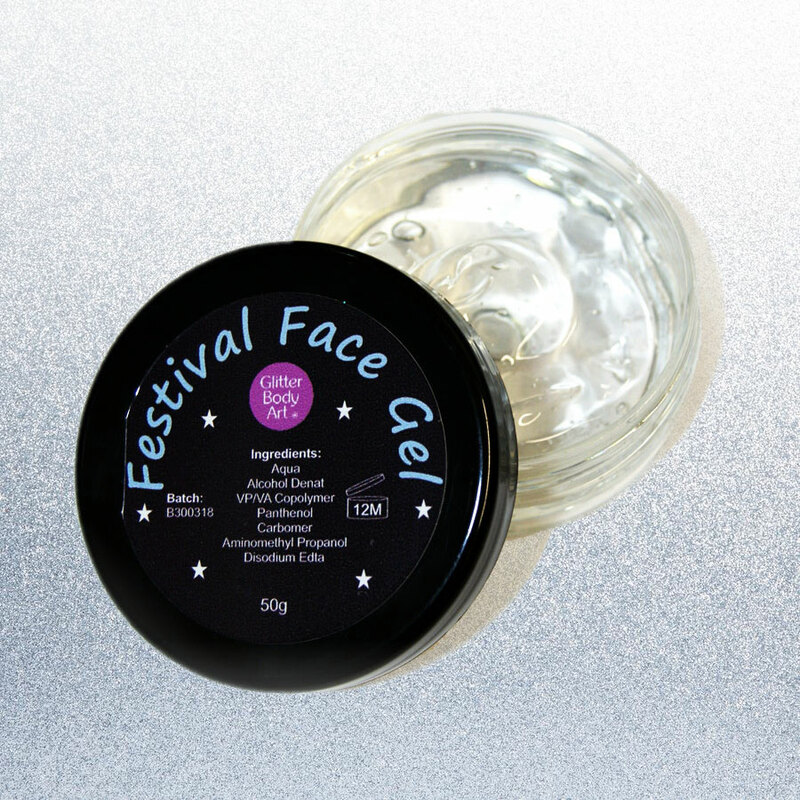 Perfect for your festival faces and festival hair. Our body gel is a cosmetically approved gel product used for adhering glitter to the face and skin. 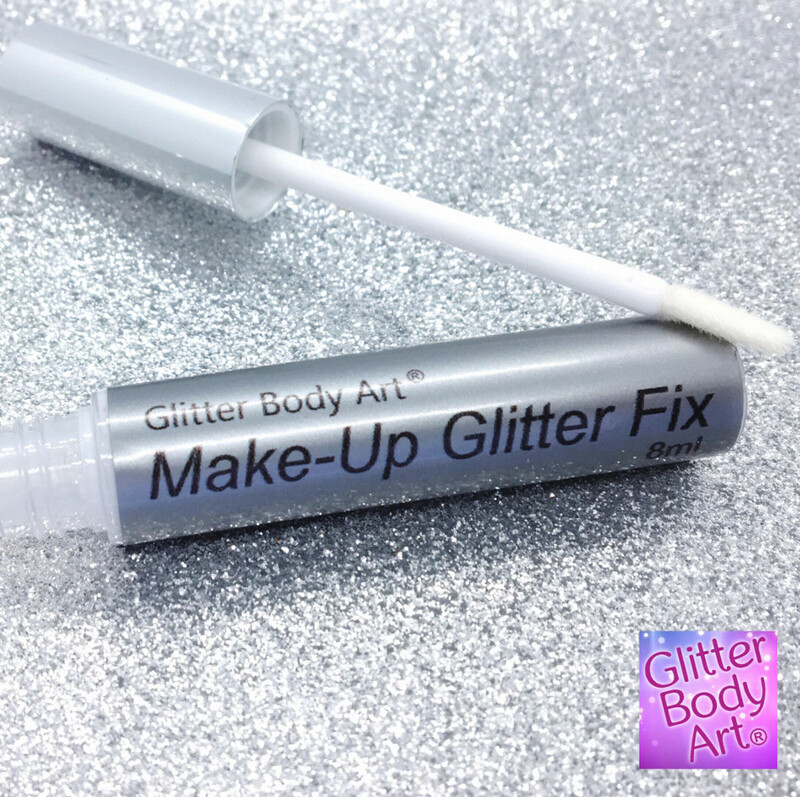 Mix with glitter to create a beautiful glitter gel or alternatively use as base to which you apply glitter on top. Easily applied using a sponge or brush. This is a water based products and can easily be washed off the skin with warm soapy water. Safe for children over 3 years of age. We do not recommend using on the lips.